Bonnie - thank you so much for the nomination..I'm so incredibly flattered! Maureen from Orgasmic Chef nominated me a few weeks ago, so I already passed on 5 nominations and added my quirky random fact lol. Email me with the problem you had posting on WP. I'm not at all surprised that you've been nominated before! Congratulations Bonnie on your nomination. I know you will do well. Also: My favorite move is Gone With The Wind Too! Thanks so much Regina! I had so much fun today reminiscing on your site about drive-in movie days! Bonnie, thanks for your kind words... here and in your comments on my blog. You are always so encouraging. I enjoy old movies as well.I love To Kill a Mockingbird, Ten Commandments, Casablanca, War of the Worlds, Wizard of OZ.... yeah you get the picture! Hey Steve! Those are some classics...I hate to sound old, but they honestly just don't make them like they used to! Really having fun with your spice rub week at the Black Peppercorn! Oh, I just got "the picture"...pretty cute:)! Congratulations Bonnie! And I am honored that you thought of me! My pleasure Jill...I enjoy your site and your stories about your family recipes so much! Thank you Bonnie! You are so sweet, and I'm honored that you nominated me. I love visiting your blog. Not only do you share delicious recipes, but you also share your heart. Thank you again!! 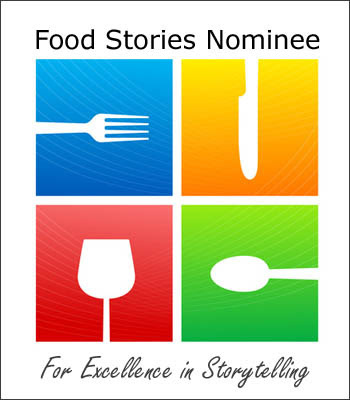 Monet, You share yourself and your thoughts so beautifully in your extraordinary writing, along with your creative and artisan recipes...it's my pleasure to nominate you!